A private detective’s pursuit of a missing young woman leads him into an obsessive relationship and undermines the life he took for granted. 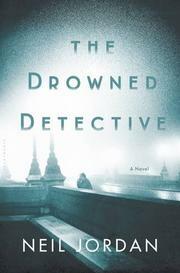 Identified only as Jonathan, the detective is an Englishman working in an unnamed Eastern European city. His wife works in the city, and he and their daughter have accompanied her there, and Jonathan has opened a business that tracks missing persons. Facing a marriage that’s in trouble and his own homesickness, Jonathan agrees to work for an elderly couple whose daughter has been missing for years and who, they believe, has been forced to work in a local brothel. While working the case one night, he comes upon a young cellist who throws herself off a bridge. Jonathan plunges into the water and rescues her. What follows is not quite an affair, though it is certainly an obsession. But then it's almost impossible to say what anything is in this novel, which is not so much a narrative as a mood piece. Jordan, who made his name as a filmmaker (Byzantium, The Crying Game), is certainly thinking about Vertigo here. But he's also thinking of the shadowy poetry of books and films in which a foreigner is caught in an unfamiliar city, and he’s attempting to use that unfamiliarity as a metaphor for the emotional fog of his protagonist’s life. It’s atmospheric, but it’s also sodden with melancholy which, because of the narrative obliqueness, never becomes emotionally compelling. This is a novel in which the reader is apt to become as lost as the woman its hero is searching for.